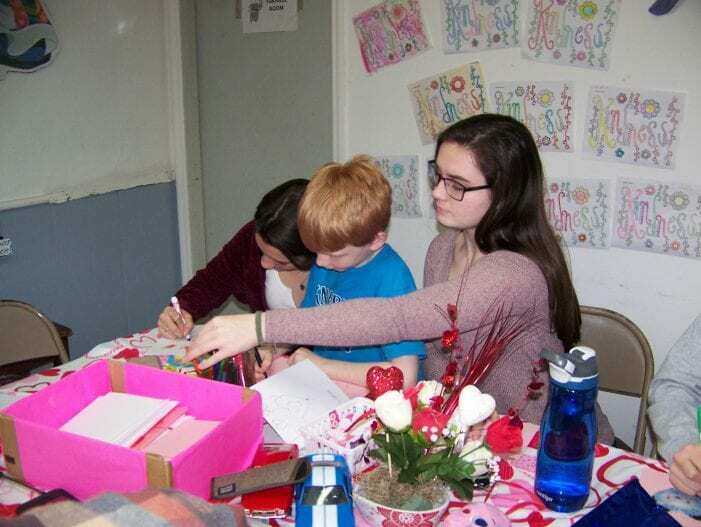 About 25 years ago, the pastor at the Port Morris United Methodist Church, in Landing, asked the congregation to bring valentines to worship. 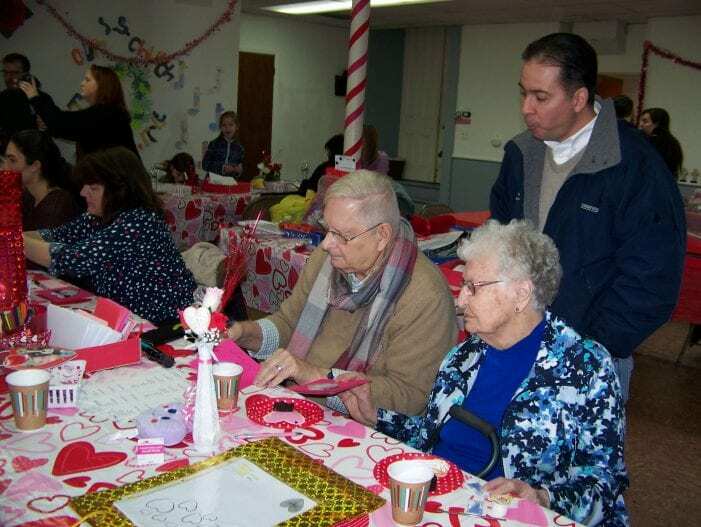 The pastor rotated with other clergy in giving a weekly service at a local nursing home and his next turn was coming up around Valentine’s Day. He wanted valentines to give out to the residents, some who might be forgotten on Valentine’s Day. Over the years, the church has had different pastors, but that ripple of love which started with valentines for one nursing home has grown. It has become a yearly church event held the afternoon of the NFL’s Super Bowl. 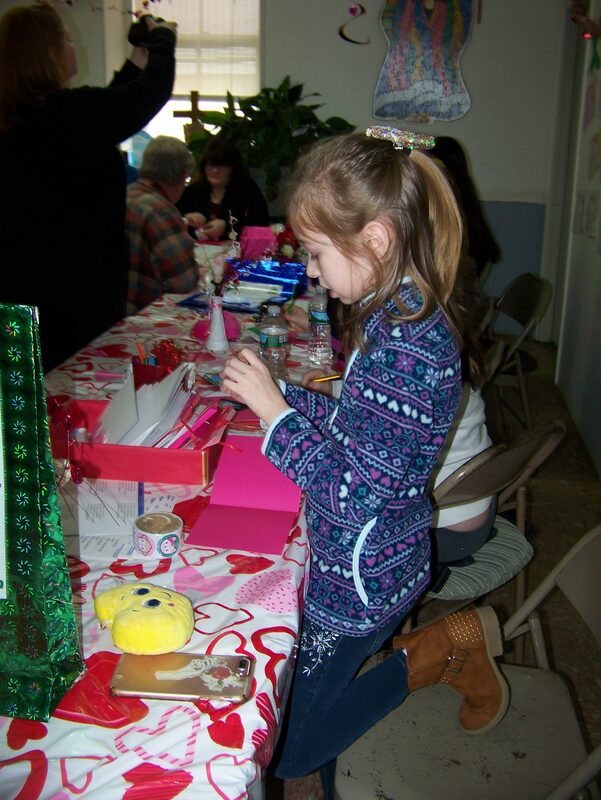 It is a Valentine making Super Bowl at which hundreds of valentines are made or donated. 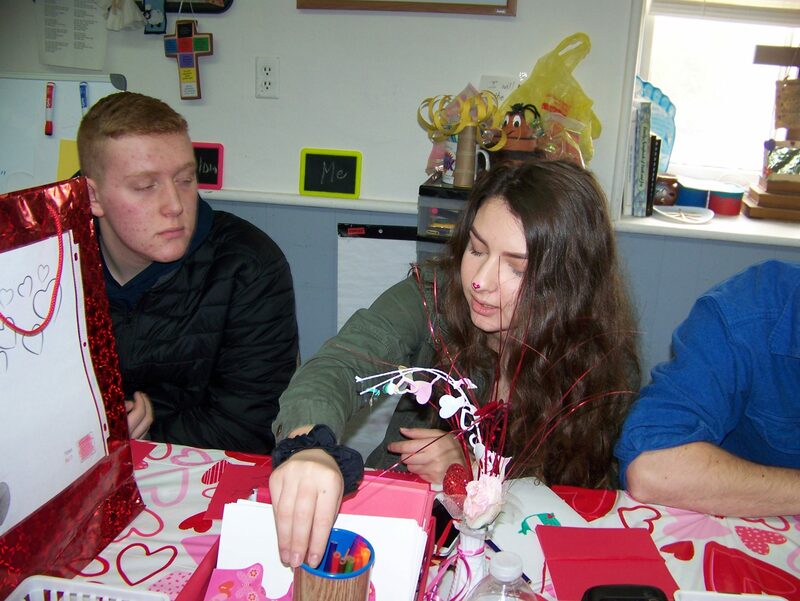 This year, those tokens of love will be going to residents at four nursing homes and two veteran facilities. The coordinator of the event for the past 17 years has been Tina Berchak, of Stanhope. “From a very young age, I have always valued family and the support that we get from our loved ones. This project is unique because it is timeless. As long as there are people willing to receive the cards, we will be making them. In the past, our youth group hand delivered the valentines and we warmed so many hearts and that is something that I don’t want to give up,” Berchak shared. One element that Berchak particularly loves is that it is a multi-generational event. 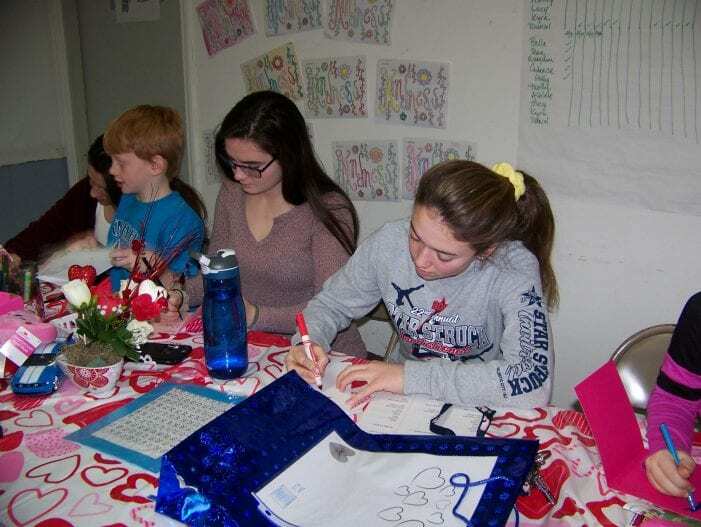 Those who came to make valentines this year ranged in age from elementary school students to seniors in their 80s. The generations sit side by side at tables which contain all the elements needed to make a good valentine: paper, stickers, colored pencils, crayons, stencils, and scissors. Each table becomes a team, working together and sharing laughs and fun. Of course, making hundreds of valentines takes energy. The event includes a break with a variety of treats including heart-shaped pizza. There are also Valentine’s Day themed games. Berchak reminds the valentine makers that every valentine counts. She’s been there in the past when cards were given out to nursing home residents and saw how much it meant to them that someone cared. 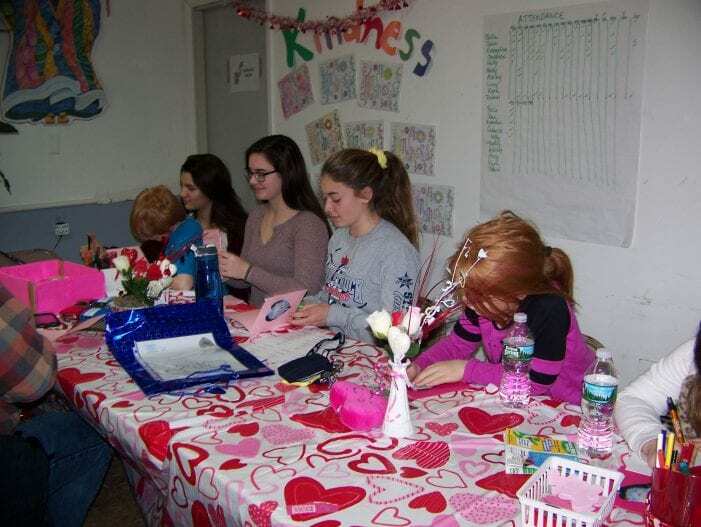 This year the tokens of love are slated to go to Merry Heart Nursing Home in Roxbury, Homestead in Newton, Regency Grand in Dover, Heath Village in Hackettstown, Veteran’s Haven North in Glen Gardner and Lyons Vets Hospital in Lyons. Rev. Dr. Nick Petrov, the current pastor of the church, noted that the valentine event is a significant outreach for the congregation.